Golden Island Jerky Co. produces over 20 different flavors of jerky. Using proprietary recipes and processes, Golden Island produces over 20 varieties of gourmet, gluten free pork and beef jerky including Hickory Black Pepper, Teriyaki, Chili Lime, Mandarin Orange and the # 1 selling Griller BBQ Pork. 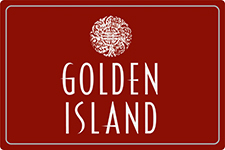 Golden Island products can be found at Costco locations and select retailers. Golden Island will soon expand into grocery, drug and convenience stores nationally. Beef and Pork Jerky meat snacks for retail and wholesale sales. We process raw beef and pork products, both kettle cooked and flame grilled, and we also package for retail sales. We ship across the USA. Your taste buds might be familiar with Golden Island Jerky Company. Based in Rancho Cucamonga,California,this third-generation,family-owned and operated business produces more than 20 varieties of beef and pork jerky snacks with delicious flavors from all around the world. In 2011,Golden Island was experiencing a hyper-growth period and called on CMTC to meet its new demands.